How Do Butterfly Coins Work? On the back of every coin, a unique tracking code is laser-engraved. That code is stored in our system forever, and links all the story notes together for each coin. Our coins are precision-made of solid, heavy brass and will last forever! The coins you release today may still be enjoying their journey, being passed from person to person along with kind deeds, decades after you first release them. Each coin has its own story page, where all the story notes from that individual coin will be collected in perpetuity. The smallest of deeds you do with a coin today may lead to amazing, life-changing future events! Can People Make Story Notes Without Creating An Account? Yes! Our website is designed to allow "guests" to enter story notes, to reduce any friction to you getting story updates from the coins you release. If those guests go on to join our site in the future, their story notes will automatically be associated with their new member account. First, sign up for a free member account. Then, just buy some coins and keep one in your pocket every day. It will remind you to look for opportunities to perform a random act of kindness, then pass the coin along to the recipient of your kind deed. 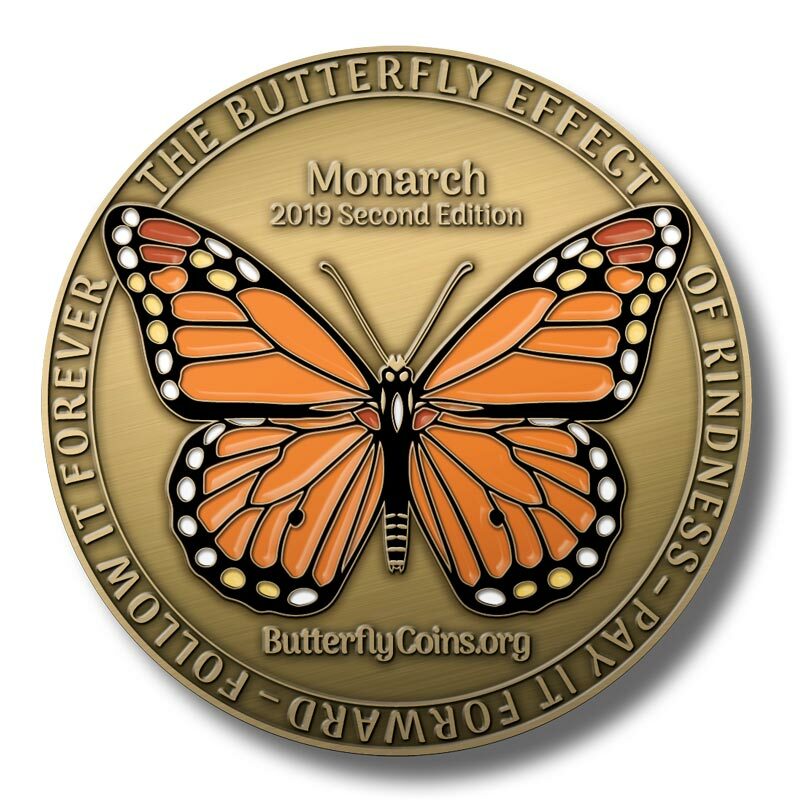 And don’t forget to join us in our Forums, where you can make new friends and learn everything there is to know about Butterfly Coins. Do Good & Fly On!